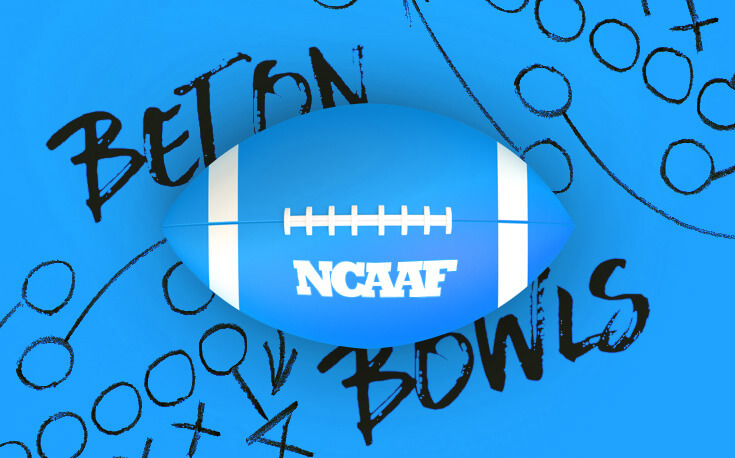 College football bowl games are among our nation’s finest sporting traditions. They pit successful college teams against each other in ways conference scheduling usually doesn’t allow, so you get to see some interesting matchups that would otherwise merely be mooted at the water cooler. Betting on bowl games can be a fun holiday pastime, although their unique nature introduces some unique factors that bettors need to be aware of. Here are three things you should consider before laying a wager on Bowl games. The most important bowl games are: (a) the two College Football Playoff semifinals, (b) the National Championship Game, and (c) the other “New Year’s Six” bowls. Just appearing in those games is every football player and coach’s dream, and success on the brightest of stages can make careers. Rest assured that everyone involved will do everything in their power to win those games. Bet on them more or less as you would bet on any other important college football game. For the other bowl games, however, effort level – and even playing status – are not guaranteed. After a disappointing season, a trip to a less prestigious bowl game might not be the most inspiring prospect for a team. Players that were gunning for a playoff berth may be dejected at the thought of suiting up in the Raycom Media Camellia Bowl. Remember that you’re dealing with kids as young as 18. How they will react to disappointment is not eminently predictable. Bettors would be well advised to steer clear of betting on non-playoff bowl too early, especially if they involve star players. Recently, many of college football’s best have opted to skip their teams’ bowl games in order to stay healthy ahead of the NFL draft. Recently Stanford’s Christian McCaffrey skipped the Sun Bowl and LSU’s Leonard Fournette sat out of the Citrus Bowl. LSU still dominated Louisville (29-9), but Stanford only narrowly edged North Carolina (25-23) and failed to cover. These days, it’s best to wait until you have as much information as possible on the bowl-game status of NFL-bound players before making your wagers. Bowl games were designed to showcase exotic talent from all over the country, back when television didn’t exist and conferences were more regional. When Alabama played Washington in the 1926 Rose Bowl, most Husky fans were seeing the Crimson Tide for the first time, and vice versa. When Hawaii played Middle Tennessee in the 2016 Hawaii Bowl, it was the first time the two teams had met since 1993, before almost all the players were born. As hard as it is to keep up year-to-year with the changes your regular-season opponents are making, it’s doubly hard to adjust to a team you’ve never played before and only have 12 games of tape on. Add in tricky strategies like the triple-option, and you have a recipe for confusion and struggle. This introduces more volatility into the already very unstable pursuit that is college football. Before you bet, do your research and make sure that your opponent isn’t playing some wacky offense your team hasn’t seen before. Georgia Tech and the service academies are just about the only FBS teams that play the triple option. Syracuse and USF are carrying the torch of up-tempo spread attacks. Auburn does a lot of stuff with pre-snap motion that confuses even SEC teams that play the Tigers every year. College football teams are good at traveling to their conference opponents. They know how to get there, they’re familiar with their accommodations, and they can perform at or near the best of their ability. Bowl games, however, force teams to travel to places they’ve often never been before, including locations well outside of their own time zone. Middle Tennessee’s trip to the Hawaii Bowl involved an 11-hour flight, a lot more than the Blue Raiders were used to in C-USA play. That travel, combined with the events that bowl sponsors put on before games, can interfere with peak athletic performance. The Buffalo Wild Wings Citrus Bowl, for example, is famous for engaging both teams in an all-you-can-eat chicken wings contest the night before the game. In 2016, LSU players ate over 4,000 chicken wings the night before the game. As mentioned, they won 29-6, but you get my drift. Seeking More Clarity on Your Sports Bets? Fear not, we (think) we’ve got the answers to any questions you might have about betting on all major sports, not just college football. Check out our guide on how to bet on sports for any queries you might have!